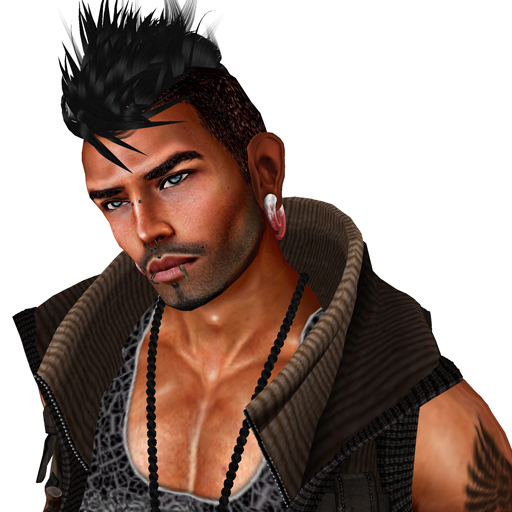 In Second Life, eyes are the life for an avatar ~ it is where soul of one’s avatar radiates from. Although eyes are a very small detail they can break or make your look, especially in photographs. In this article you will learn how to effectively position your avatar eyes or your model’s eyes so that they have more natural appearance and are not rolling in the back of your head. This would give your photos more professional feel and your avatar would look more realistic and not drunk, crazy or on drugs. WHAT IS ROLLING EYES & HOW TO SPOT THEM? “Rolling eyes” is the term used for when eyes are not positioned in a natural way and are sort of rolling to either sides covering most of the iris. You can see that middle of the eye is not visible at all in this example. Try doing this eye position in RL and you will see that you would not be able to see anything when doing it. Correct position for this particular pose would be something like this. Of course this is not the only way to position the eyes, you can actually have them more to the side and looking in various directions as long as the center of the eye is clearly visible. 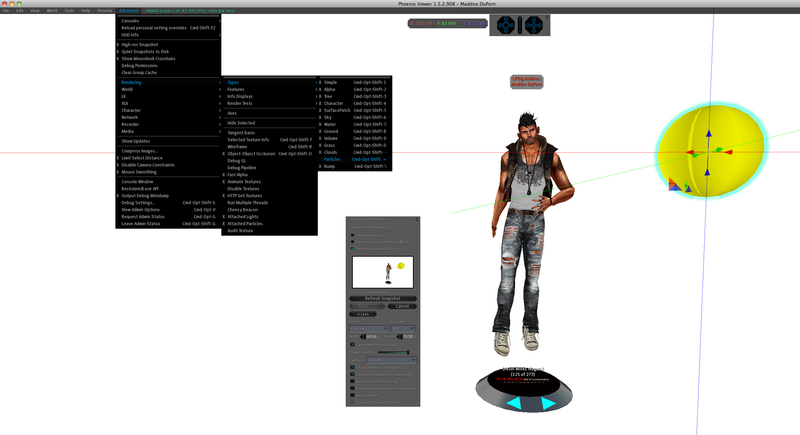 3) Go to Rendering > Types > Particles and check it of. This would ensure that while your ball is selected when self photographing you do not see particles leading from your hand to the ball. 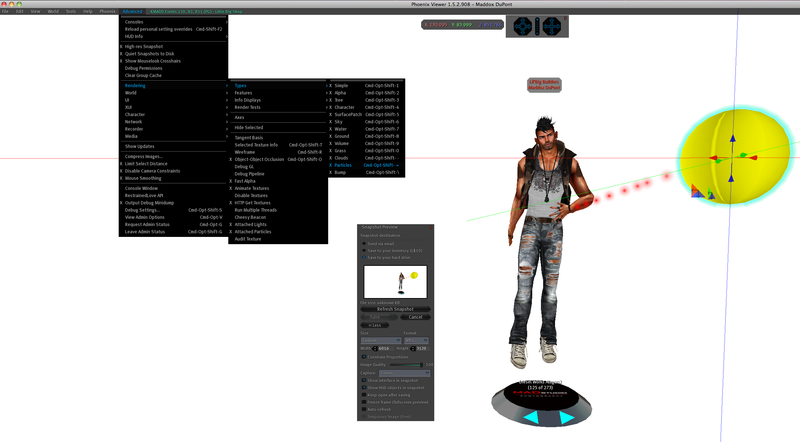 4) Position your camera on your avatar – frame it the way you like it. 5) Zoom out so that you can select your “eye ball” which you rezzed on the ground. Right click and go to edit = selecting eye ball. 6) While in edit move your ball around using arrows, zooming from time to time to your face to check where your eyes are looking. 7) Once you are happy with the position of your eyes take the shot all while you still have your ball selected. Or you can move your camera in different position and select the ball again then take the shot. And that’s pretty much it! Having your ball selected at all times will direct your eyes to the ball which means you have full control of exactly where your eyes are looking. Turning your particles off will allow you to snap while your ball is selected without particles being in the photo. If you lose your eyes while adjusting camera position simply right click on it again to select it and move back into the shot. If you are working with models ask them to hold ALT and click on the ball to focus on it and let go off the mouse when done so. Move the ball around and make sure their eyes are following it to ensure they have done so. If not, tell them to do it again. If the pose does have pretty straight head position while on the stand simply hold CTRL + ALT and click on your chest to place eyes in the middle. This also works great for models during runway shows as it stabilizes their eyes. If you got any questions or like this article don’t forget to comment.